The HVAC is the biggest power hog of a household. More so, if it is inefficient. It will run longer and harder to cool and heat you house which will generate fatter utility bills. In that case if you keep you HVAC well-maintained then it will run at the peak of its efficiency. The snags, if they crop up, will be resolved when it is tuned. 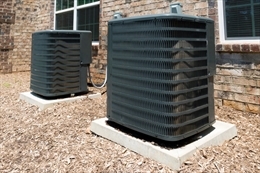 An unmaintained HVAC will start malfunctioning after a few years of operation. All mechanical appliances, even human body has to be taken care of to ensure long life span. 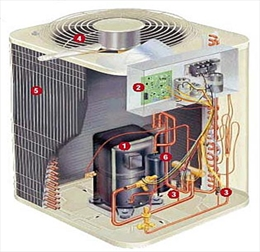 Therefore if your HVAC is serviced annually then it is less likely to generate costly repairs. Moreover costs of repairs are quite high. Replacing parts can drill deep holes in your wallet. In annual maintenance contract you are likely to get certain discounts on parts. Otherwise you would have to pay the full retail price of HVAC parts. Tune ups will also prevent small faults from blowing out of proportion. A well maintained HVAC will of course have longer life than an maintained one. Malfunctioning parts in a HVAC often leads to domino effect. A small defective part can cause other parts to malfunction leading to system breakdown. A malfunctioning HVAC can cause health hazards to the inmates of the house. For instance, if the heat exchanger of the furnace cracks it will cause CO (carbon monoxide) leakage. CO is a lethal gas that is odorless and colorless. It is difficult to detect its presence. But it can cause death of the inmates, if its exposure is unchecked. Also, HVAC systems can develop a short circuit, which is a serious fire hazard if ignored. A regular maintenance of HVAC can prevent such situations. If you subscribe to annual maintenance service of HVAC, you will be given emergency facility by the company. Once you’re enrolled, you’ll have guaranteed same day 24 hour service and never be charged an emergency rate. Otherwise, in peak seasons it is difficult to get technician to come and inspect your faulty unit. It takes days for one to reach your doorstep as they are neck-dip in service calls.